Optimus Real Estate has specialised in residential property sales and rental management since it originated in 1981. Our skilled team has 121 years combined real estate industry experience. We work as a team and consult partners for advice. We share a cross pollination of buyer referrals and possess valuable market CREDIBILITY that has been built from long established community networks. We offer personalised service without unnecessary "fluff". The listing agent (not a junior rep or PA) is responsible for the entire sale/leasing process. This includes listing agreement, targeted & cost effective marketing strategy, buyer inspections, contract negotiations and compliance of terms, managing buyer’s contractor inspections e.g. termite & building, pre settlement buyer inspection, buyer’s bank valuer liaison including sale price justification & settlement agent dealings. We work in the SELLERS/ LESSORS BEST INTERESTS at all times. We ensure clients are kept up to date and reliably informed and equipped to make sound decisions during the entire selling or leasing process. We have found that working hard to achieve favourable results is the best way to establish long term relationships for repeat business and referrals from happy clients. This winning formula has been “key” to Optimus Real Estate’s success for 37 years. 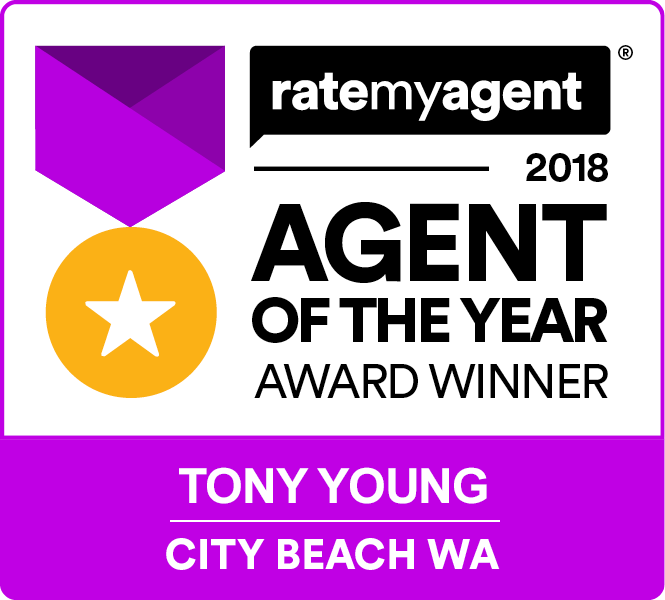 Rate My Agent (Australia’s largest, independently verified agent review site) – 2018 award winner – City Beach Agency of the year 2018. We have dealt with Tony Young for many years and found him to be a very helpful sales agent. He helped us understand the market whilst we were overseas and has managed to sell our properties quickly and for a fair price. He has excellent negotiating skills and has managed to achieve favourable outcomes for us. I would recommend Tony to anyone thinking of selling a property in the City Beach area. Tony was very professional and actually achieved more for my home than what I expected. At the home opens he was always professionally attired in a suit and tie in keeping with the upmarket area, knew all the key benefits of my home, and what was happening around the area. Tony was always approachable and nothing was ever too much a problem for him. The home sold very quickly (under 3 weeks) in a difficult market. Without doubt I would use Tony again to sell my home. I cannot speak highly enough about Tony as an agent. We found him at all times professional, knowledgeable and a great negotiator. I would recommend him to anyone selling their property. Tony did an exceptional job of selling my house. From helping me prepare my house for sale to guiding me through the negotiations and settlement I can’t fault him. Previously I had bought and sold properties with other agents and without a doubt the experience with Tony was far superior. I have recommended Tony to friends and their feedback has been the same. Thank you for your patience and professionalism in the recent sale of my late Father’s home. It was a difficult time for us and we appreciated your patience, guidance and 'can do' attitude. Not only did we achieve a better result than we had hoped, but the experience right through until settlement was stress free and we felt assured you were looking after our best interest at every opportunity. Thanks again Tony and you'll be the first call we make when we downsize our beloved family home in the near future. Tony Young worked tirelessly for us and provided sound advice to expedite the sale of our property. Tony's knowledge of current market conditions and negotiation skills were crucial in achieving a favourable result selling our home our home. I would recommend Tony to anyone looking for an excellent agent. Tony was dedicated to selling our property in a pretty tough market. He gave great advice on the placement, marketing and set up of the property prior to sale. He was then very active in generating leads and I was especially impressed with his follow up of leads and convert the best opportunity. We made the decision to appoint Tony as our agent for the sale of our property in South City Beach as we had attended a couple of home opens with Tony as the agent. He was courteous & most importantly followed up our visits to gain feedback each time - exactly what you want as a seller in a tough market. Tony was upfront & knowledgeable in guiding us through current market sales & valuations, resulting in us listing our house at a competitive price & ultimately selling it from the 1st home open. We could not speak highly enough of Tony's tenacity, professionalism & care in all of the dealings we have had with him & his team at Optimus. A great agent & agency! We were very pleased how Optimus carried out marketing strategy and achieved a maximum price. Tony Young was the only agent to regularly follow-up and even assisted us buying after we sold. Most importantly, you delivered what you said you would. We recommend you with your knowledge and experience to anybody wishing to sell their property. We selected Tony because Optimus long standing reputation in the Western suburbs. During the entire process Tony was professional, upfront and at all times courteous. He delivered exactly what he promised. We are delighted with the outcome. Tony Young successfully sold our property in a "soft" market at an excellent price! Thanks Tony, very well done, we are delighted. Tony Young - well done. Couldn't have asked for a better agent. The entire process has been a pleasure. If you're looking for someone to sell your house, call Tony. Bree manages our property for us while we live overseas. She has been nothing short of amazing, we couldn't be happier with the service. Being overseas it was important to us we had someone we could trust to make decisions on our behalf if required or to give practical recommendations. Unlike other property managers we have come across, Bree actually does actively 'manage' our property. We would highly recommend Optimus to anyone. The team at Optimus Real Estate are great! 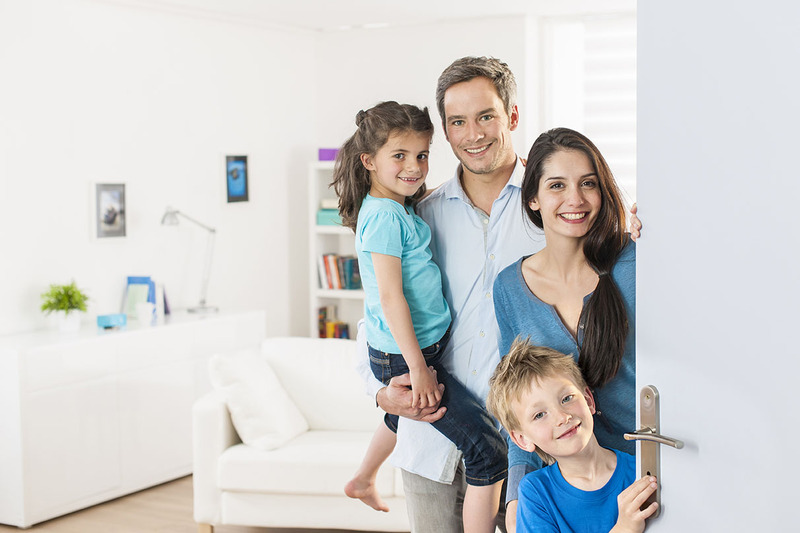 They manage our property seamlessly so we don't need to, and always respond to our correspondence speedily.